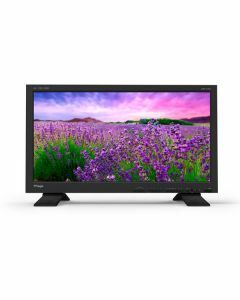 The LUM-313G is a 31.1" native 4K resolution(4096×2160) monitor with maximum luminance of 350nit, contrast ratio of 1500:1, wide colour gamut and wide viewing angle. The LUM-313G is a 31.1" native 4K resolution(4096×2160) monitor with maximum luminance of 350nit, contrast ratio of 1500:1, wide colour gamut and wide viewing angle. Equipped with 4 BNCs (2×12G-SDI + 2×3G-SDI) and HDMI 2.0 interface, it supports various video formats up to 4K/60p through single-link 12G-SDI, Quad 3G-SDI and HDMI 2.0. In addition to various professional features such as Waveform monitor and Vectorscope, the LUM-313G provides HDR emulation function with HDR EOTFs of PQ, HLG and SLog3. More camera-specific HDR logs and gamuts will be supported by firmware update.